Reverse: Designed by Jody Clark, the design features a regal Falcon holding a shield. The shield’s badge depicts a smaller falcon within an open fetterlock. 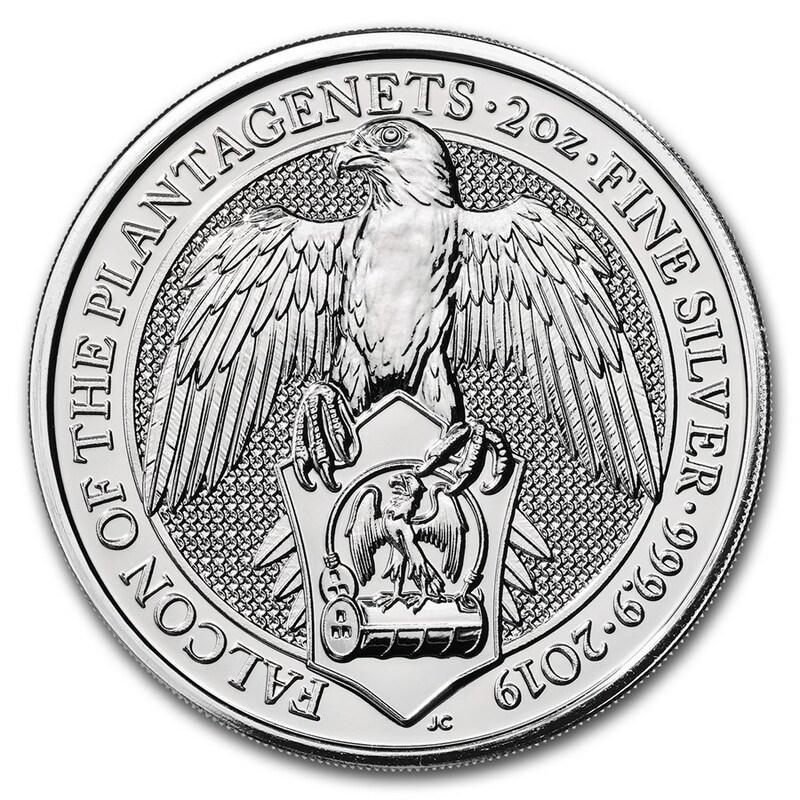 The sixth release of the Falcon of the Plantagenets continues the impressive designs of the Queen’s Beast series, with this coin commemorated in .9999 fine Silver. 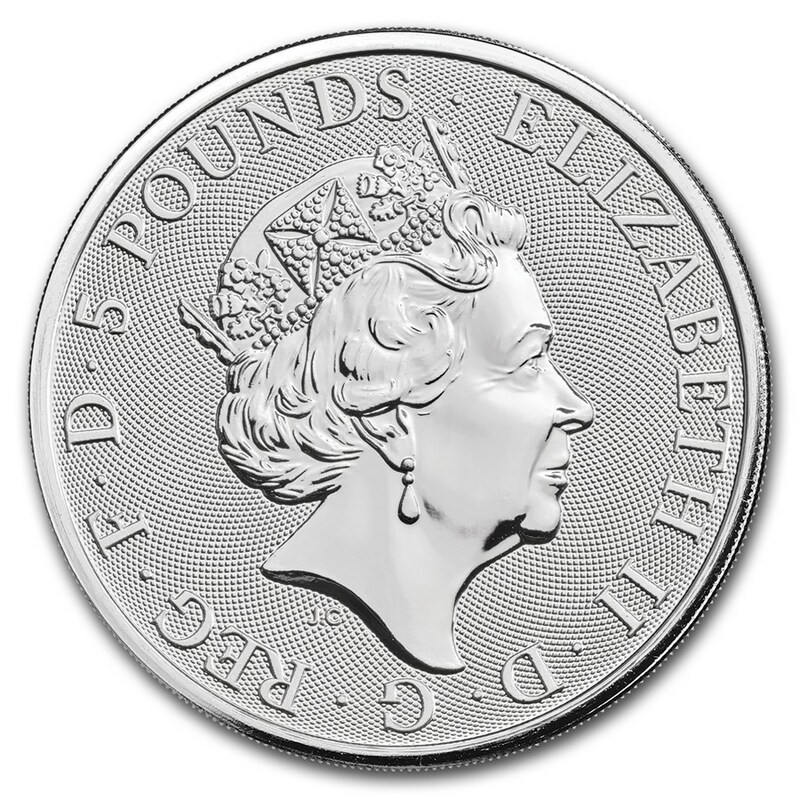 The 2019 Queen’s Beasts Silver coin is the sixth 2oz Silver British Bullion coin from the Royal Mint. Add the sixth coin of this popular 10-coin series to your cart today! When Her Majesty The Queen was crowned in 1953, the entrance to Westminster Abbey was guarded by ten fantastical creatures. The Queen’s Beasts were six-foot tall statues that symbolized the heritage and history Queen Elizabeth II inherited that day. These royal protectors have been brought to life in a collection named in their honour, which began in the year The Queen became the world’s longest reigning living monarch. The Falcon of the Plantagenets came to The Queen through Edward IV. The shield in the grasp of the larger Falcon also shows a smaller falcon atop a golden fetterlock, which is partially open. This depicts Edward’s claim to the throne. The Falcon was later adopted by Henry VIII and established as a royal beast during the reign of Elizabeth I.